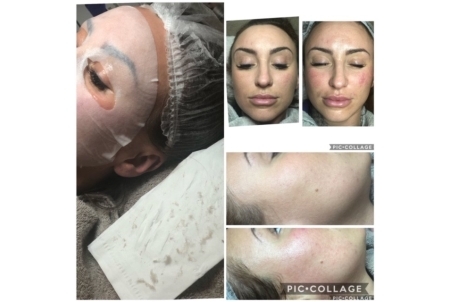 Dermaplaning is a super effective clinical procedure where we exfoliate the epidermis and it is now available in Maidstone, Kent. 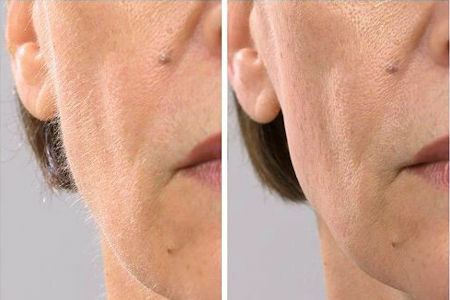 A stainless steel scalpel blade is used to sweep across the skin, removing dull lifeless skin cells and vellus hair, also known as “peach fuzz”. The presence of Vellus hair can cause a build up of make up that can show up on the skin. It also builds up debris and oils within the follicle. 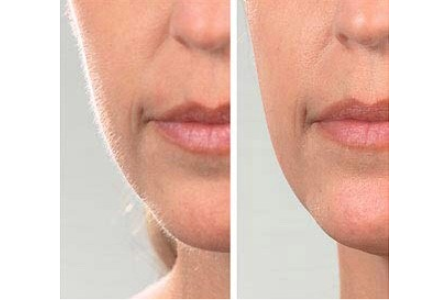 Removing the vellus hair will give you a much healthier, radiant looking skin. 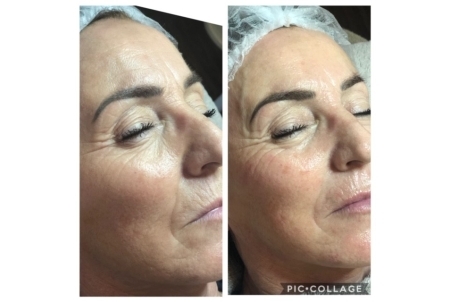 Dermaplaning can also be beneficial to those with uneven skin tone, fine lines and wrinkles. 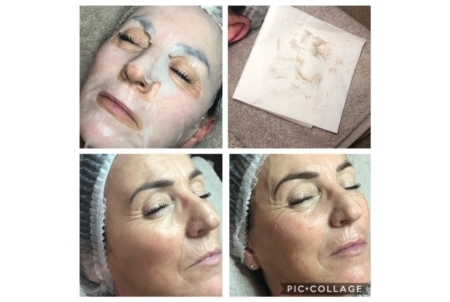 This is a perfect stand alone treatment if you require deep exfoliation, it’s particularly good if you are contraindicated to skin peels. A: No pain is involved, all you may feel is a slight scratch/tickle sensation. Q: Will dermaplaning cause my skin to breakout or become more sensitive? A: This treatment can be carried out on those with sensitive skin. No breakouts will occur if you follow aftercare advice. Q: Can I have Dermaplaning if I suffer with acne? A: No, this is not suitable for clients with acne. Q: After Dermaplaning, will facial hair grow back thicker? A: The vellus hair (peach fuzz) will grow back after a few weeks. 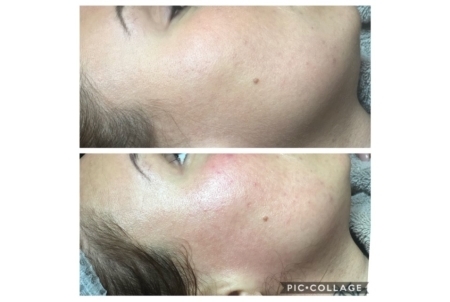 Q How will my skin feel after the a Dermaplaning treatment. A: It leaves skin feeling smooth and brighter and products that you use will be able to penetrate the skin more efficiently. Q: Can this the Dermaplaning treatment be use on darker skin? A: Yes, we can treat all skin types. Q: Can I have Dermaplaning if I already wax ? A: Facial waxing would need to be carried out at least two weeks prior to Dermaplaning treatment. Q: Will my skin feel sore after a Dermaplaning treatment? A: No, a mask will be applied to reduce any redness and hydrate the skin after the treatment. Q: Can I cleanse and hydrate my skin after Dermaplaning? A: After 24 hours you may return to a good healthy skin care routine, to keep the skin clean and hydrated. 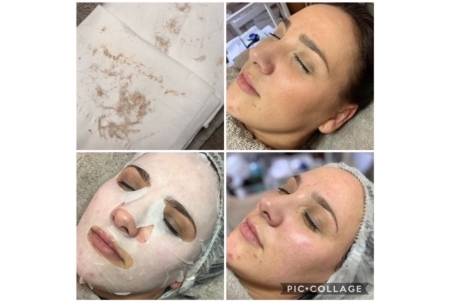 Click on the images below to view before and after photos of clients who have experienced the Dermaplaning treatment. 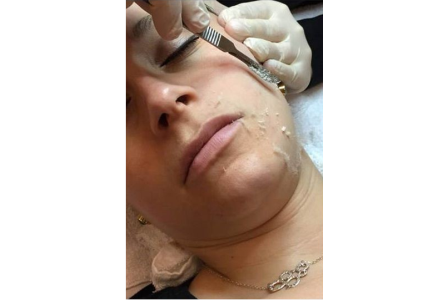 Play the videos below to watch the Dermaplaning treatment in progress.